2012-10-07: The underside is glassed and prepared. The top is now ready for glassing. 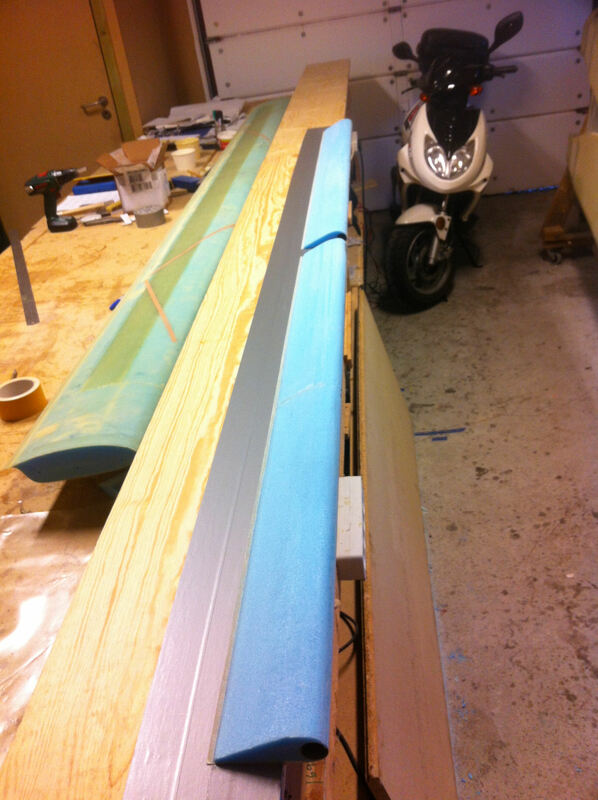 Instead of using 5-min epoxy to fasten the cores to the table, I used double-sided carpet-tape. I prepared the two plies of UNI on plastic on the table, and made a dry layup as stated in the plans. Peel-plied everything and set to cure.